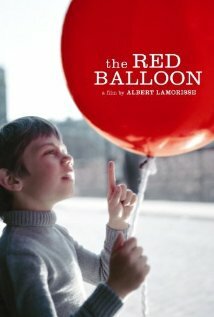 Synopsis: A red balloon with a life of its own follows a little boy around the streets of Paris. Did You Know? As of 2014, this is the only short film to win an Academy Award outside of the short film categories. I first watched this film at school in first grade, and I was bored for the whole 34 minutes and some-odd seconds. I didn’t like that there wasn’t a lot of dialogue, and I didn’t like that I had to read what little dialogue there was. Can you imagine? What nerve! I just didn’t understand the significance of The Red Balloon. But I do now. The balloon is much more than just a balloon. It represents imagination, childlike whimsy and wonderment, and youthful innocence. Through his day with the balloon, Pascal learns that these are the most important things in life. However, he also learns a harsh lesson that bullies will do what they can to puncture your joy and creativity and to taunt and destroy what they do not understand. But Pascal comes out stronger in the end, his imagination soars beyond measure. It’s a really delightful film with in important message, and I’m just sad that I didn’t even try to understand it the first time, all those years ago.